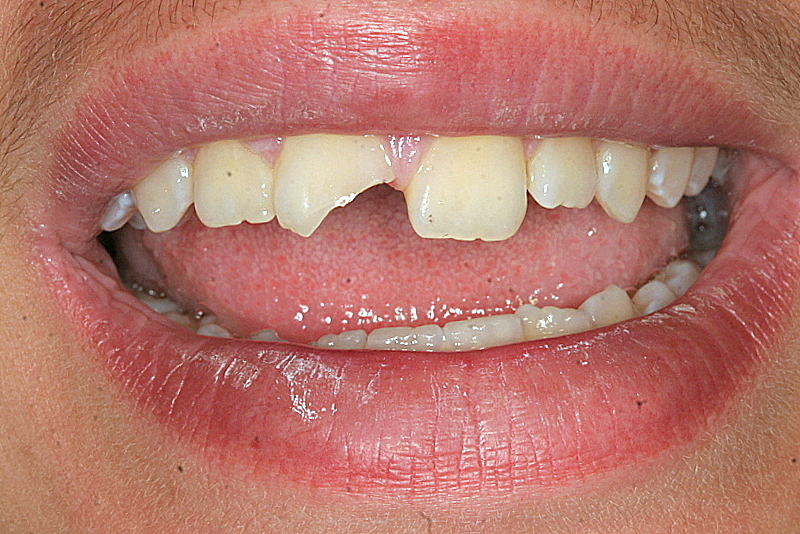 This young boy came in with a very common trauma, a blow to the front teeth with a large chip. The nightmare of parents. 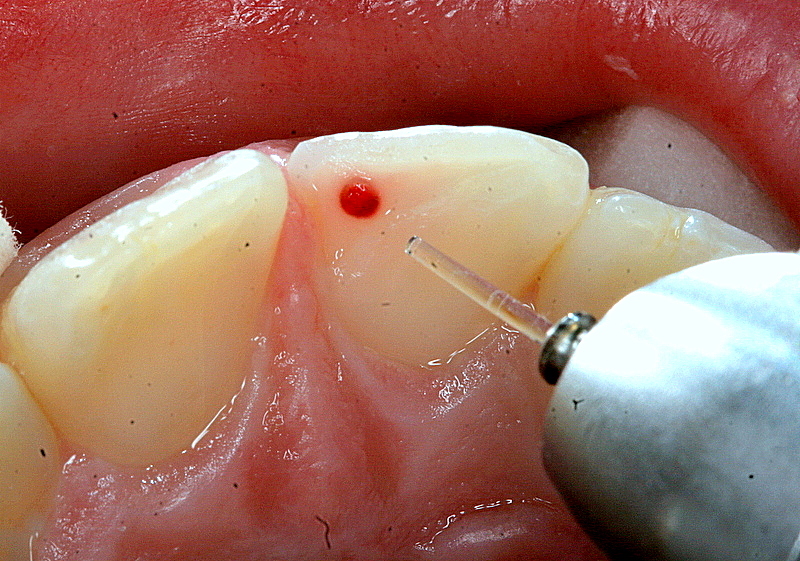 Provided the visit to the dentist is as soon as possible, and a laser is utilized, chances of the tooth surviving are excellent. 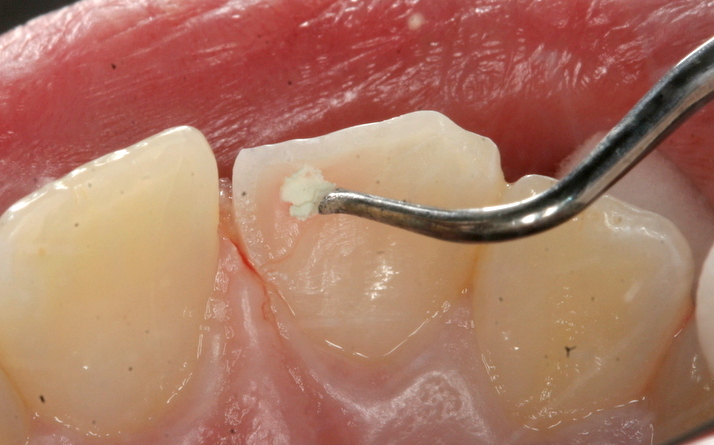 The small nerve exposure along with the whole dentine surface is lasered with the Waterlase and disinfected. 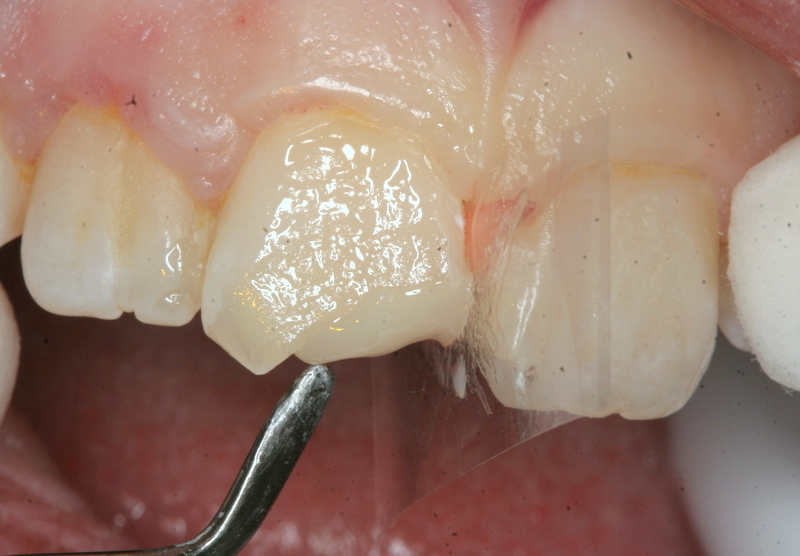 MTA ( a highly biocompatible cement) is applied as a dressing over the exposed nerve. 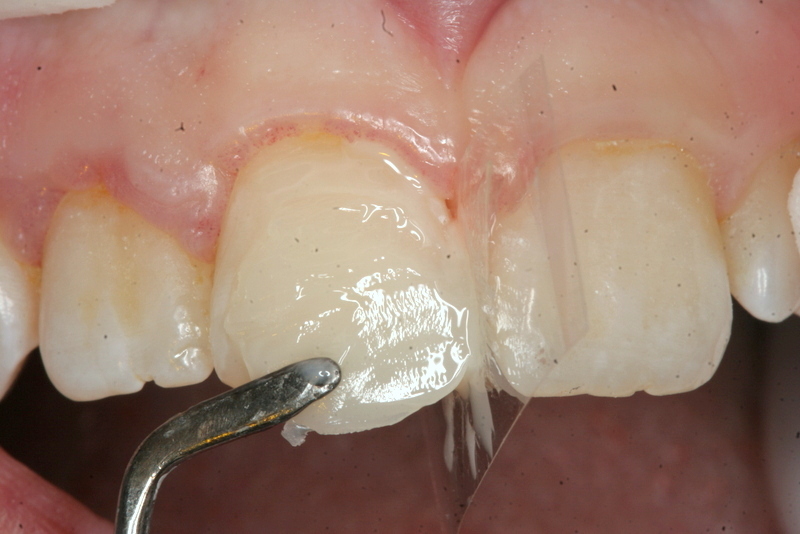 Over this layer the tooth is bonded with a self-etching bonding agent. … following aesthetic bonding principles. The tooth is polished and as good as new. 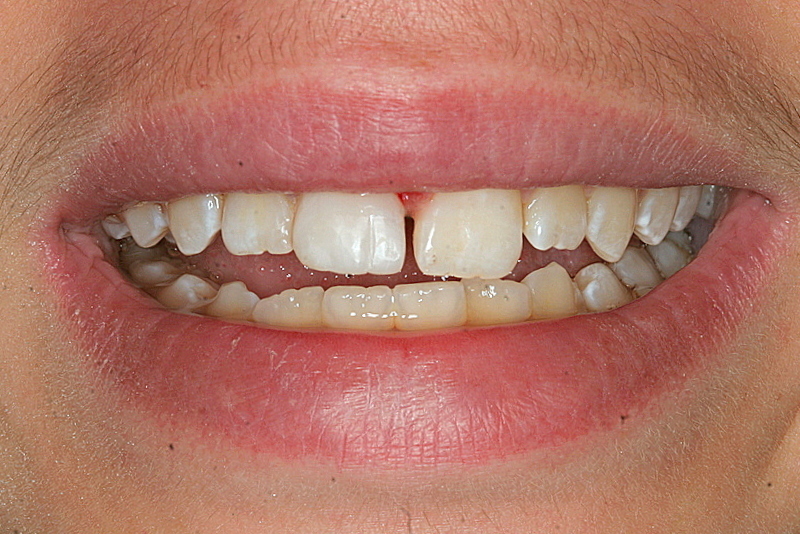 Three years after this procedure was done, the tooth is still alive and vital. This kid was spared a root canal. This entry was posted in Child Dentistry, Repair by Admin. Bookmark the permalink.